Eudermic dermoprotective water-in-oil cream, formulated and created specifically to protect the delicate skin of babies and infants. This product effectively combats the irritating action and faeces that can remain in contact with the skin, even for long periods, particularly when using nappies. 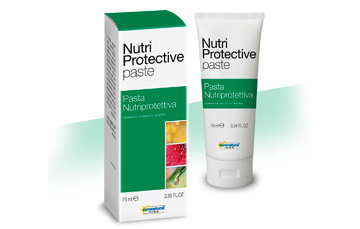 The zinc paste forms an effective barrier against humidity and irritants, and if regularly used helps to prevent skin redness, nappy rash and skin maceration. Easily applied, it is enriched with the soothing and calming Almonds, Rice, Calendula, Chamomile extracts, and performs an hydrating, restorative, and nutriprotective action. Apply a thin layer of barrier paste carefully on the irritated skin. Massage delicately using a circular motion.